danger garden: There were succulent stamps in my stocking! My Christmas stocking that is. 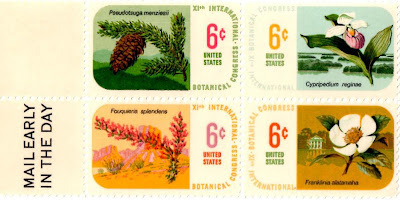 “On August 23, 1969, the U.S. Post Office released a set of four stamps to mark the meeting of the 11th International Botanical Congress in Seattle, Washington. 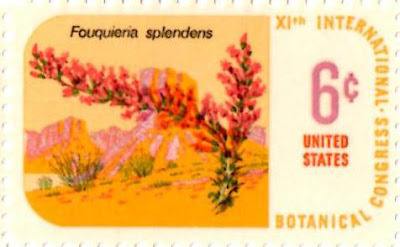 Portrayed on the 6-cent stamps were famous plants associated with the four regions of the country. 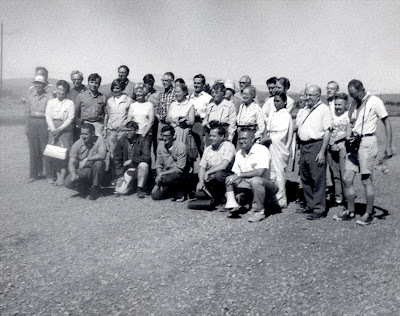 When I went looking to learn what went on at this International Botanical Congress in Seattle I stumbled on the photo below (source) taken during a field trip of the Seattle Botanical Congress goers to Oregon. They look like a fun bunch don’t they? I wonder where they visited; it looks more like Eastern Oregon than Western. By the way I’m not a stamp collector...there was a theme running through many of the holiday gifts from my husband this year, images of my favorite plants. I've got a several vintage photograph reproductions and a couple of new art prints to get framed. I see a great succulent wall grouping in my future! Oh and this was going to be a simple Wordless Wednesday post with just images of the stamps, but I’ve never been any good at the wordless thing. I hope some of you found this interesting! Oooh, great gift! And I'm glad you didn't choose to go "wordless" today since interesting and fun research would have been left out. Wow. What a nice vendor. That Ocotilla stamp fits perfectly with the Sonoran desert theme! Love this post! Thanks for sharing that bit of history. 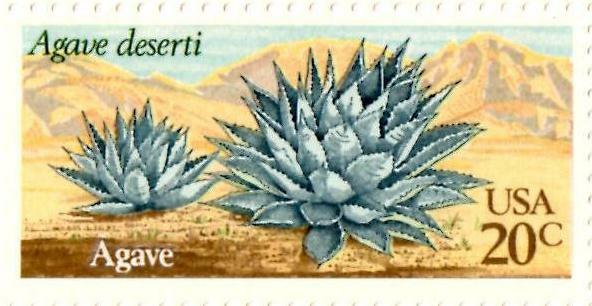 They need to do some forever stamps with desert plants on them! What a cool and original gift! Santa has obviously been watching you carefully and deduced that you have been a very good girl. You have a very, very, VERY nice husband to get you themed gifts like those stamps and vintage photos. Aren't you glad you didn't reach into the stocking to find a real agave? Ouch! Shirley, now I have to decide what a non-stamp collector does with a mini stamp windfall! Jenn, naturally the Ocotillo is my favorite of that group. Anzelina, thank you for saying so. It's nice when others find something interesting that you do. DD, I didn't remember the Sonoran Desert stamps so I had to look them up, those were fun, no agave though. 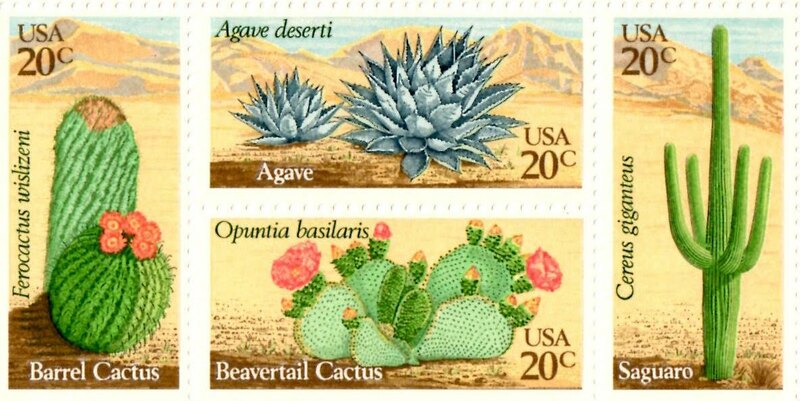 Forever stamps with desert plants would be fabulous...I'd buy enough stamps to use them for the rest of my life. Mark and Gaz, from my cool and original guy. ricki, and he would be right, of course. David, that would have been a little startling...there was a Tillandsia though.